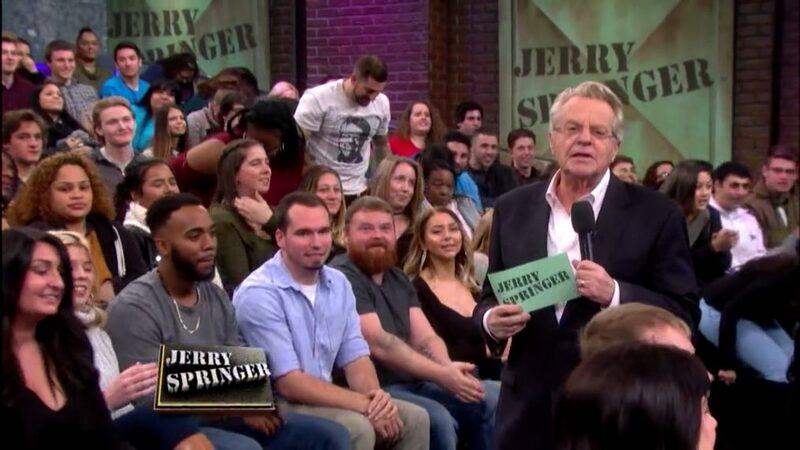 After the news of The Jerry Springer Show's impending end was announced earlier this year, fans of the outrageous talk show were certainly saddened, but host Jerry Springer's next gig is sure to keep them laughing. The former lawyer and host will preside over his own TV courtroom in Judge Jerry—a court show like no other. According to The Hollywood Reporter, Springer's upcoming venture will serve as his transition from The Jerry Springer Show in the new year with a slated 2019 premiere. It was revealed this week that production on the long-running talk show has ceased. Revealed earlier this fall, the new project has been sold by NBCUniversal to a majority of the country. The Jerry Springer Show, which began nearly 30 years ago, saw Springer insert himself in family disputes as he attempted to mediate their issues through the public platform. Now the former judge and onetime mayor of Cincinnati is looking forward to the new role. "For the first time in my life, I am going to be called honorable," revealed Springer to THR. "My career is coming full circle, and I finally get to put my law degree to use after all these years." Much like other court shows on the scene, Springer will shell out verdicts in small-claims cases presented in the episodes. Of course, fans should expect the typical Springer flair as he'll provide his take on the situation while implementing his entertaining judgment. Judge Jerry continues Springer's long-term relationship with NBCUniversal Television Distribution, which oversees The Jerry Springer Show as well. For now, no network has officially staked a claim, but the show has been sold to TV stations owned by Tribune, Sinclair, Weigel, Hearst, Cox, Sun Beam, Block, Raycom, Tegna, Scripps, Meredith and Capital. The longtime TV host isn't hanging up his mic yet. "Judge Jerry will merge Jerry's talent for connecting with people, his incredibly relatable and funny personality and his legal training and governing experience to bring viewers a more entertaining court show," executive vice president of creative affairs at NBCUniversal Television Distribution, Tracie Wilson said. "We are so happy to continue our fantastic partnership with Jerry, who is a proven TV icon with a dedicated and broad fan base." We're sure fans will be echoing those sentiments when he takes on this new role.